This comes from Aussie Will. It's for polo players. 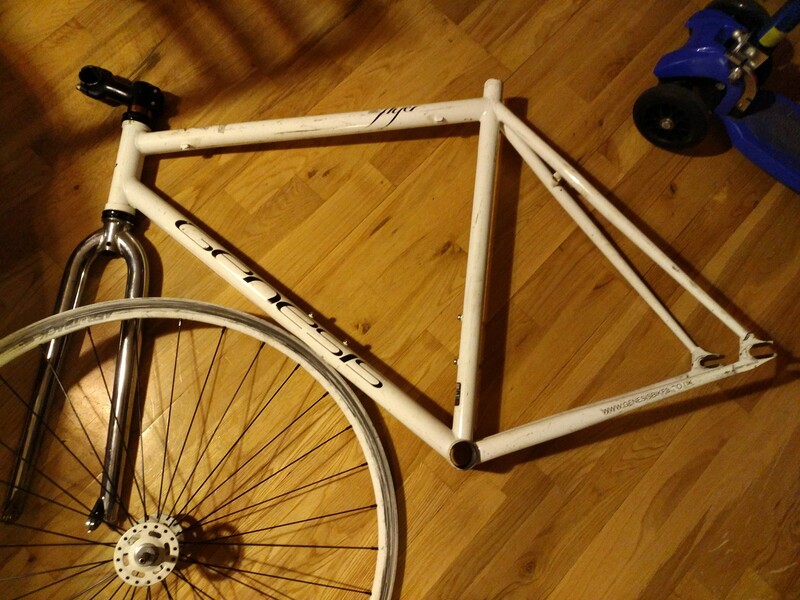 This frame is for someone to build a bike polo bike to play in London. @gabeuk do you want it for bike polo? Ah, no sorry. I was going to build it up for one of my kids. Missed the first line of your post. doh. Would you post to Brum, Matt? Not terribly interested in doing that. But if you want you can pick it up next time you're in town or someone is going your way. Are you a bike polo player? Looks like this bike hasn't been used for any polo yet?